Edited by we12, 03 June 2013 - 07:52 AM. Edited by we12, 18 December 2012 - 05:42 PM. New photos and news on this drama. Edited by *.marshmalloww, 12 January 2013 - 05:05 AM. Wow, so soon...That's good since the present drama is terribly draggy...Hope this one has a more interesting storyline. Edited by we12, 24 December 2012 - 05:34 PM. Thanks for the previews...Can we have our own subforum for this show? The rest of the cast photos. Edited by *.marshmalloww, 12 January 2013 - 05:18 AM. max 3 large pics embedded per post! Edited by *.marshmalloww, 12 January 2013 - 05:19 AM. Premiere and other clips of the cast on talk show and news of the drama. Edited by we12, 05 January 2013 - 07:29 AM. Edited by we12, 07 January 2013 - 05:24 PM. I'm just saying that I'm bored with the repetitive formula of 'ugly duckling turning into swan' theme. I don't think that's bashing. (It's just saying there have been past dramas bringing forth that theme.) I'm sure they will approach it differently in the later parts. If it makes anyone uncomfortable with it, then I apologize AND I'll delete my "bashing" as well. Sorry everyone, didn't mean to upset anyone but I guess it had. PEACE! @DTLCT you didn't have to apologize or delete your post. Your post wasn't a bash at all. You were just stating your opinion. Anyway on with this drama. I like how it going. Its sad that Hsieh Hsin Ying play as Du Liang Yan have to die so soon. I was hoping for her as Du Liang Yan would still be alive and end up with Chris Wu in the end but now that wouldn't happened. So sad for Ouyang Tai for losing Du Liang Yan. They were a sweet couple. I wonder will Ouyang Tai have feeling for Jin Da Hua when she look like Du Liang Yan. I can't wait to see Lin Guan Jun reaction when he find out that Du Liang Yan is Jin Da Hua when they meet each other again . I can't wait for next week to see Jin Da Hua change to look like Du Liang Yan. How do you know Du Liang Yan is going to die? Ya, where did it state that Liang Yan is going to die? I don't know if she going to die or live....my comment was base on the first and second episode and the preview of the scene I see and my comment was post before what was going to happened and I said what I thought was going to happened from the preview also from other site I visit other people thought DLY was going to die also. Episode 6 is already subbed at viki! Photos for the upcoming episodes. It look like Du Liang Yan is still alive??? For sure, she has to be alive for the plot to move on...Otherwise, there won't be any climax or touching moments. It look like Du Liang Yan is really going to die. From the end of today episode 7. I really though DLY was going to live from those photos above but watching eps.7 and at the end it look like she die. So sad for Terry. Edited by we12, 25 February 2013 - 07:36 AM. I love this drama! Shipping Terry and Da Hua!!!!! Wow haven't been to this thread in a long time. It look like they add two more episodes for the end so this drama will not end at episode 20...... Look like a happy end for Da Hua & Terry or is it? 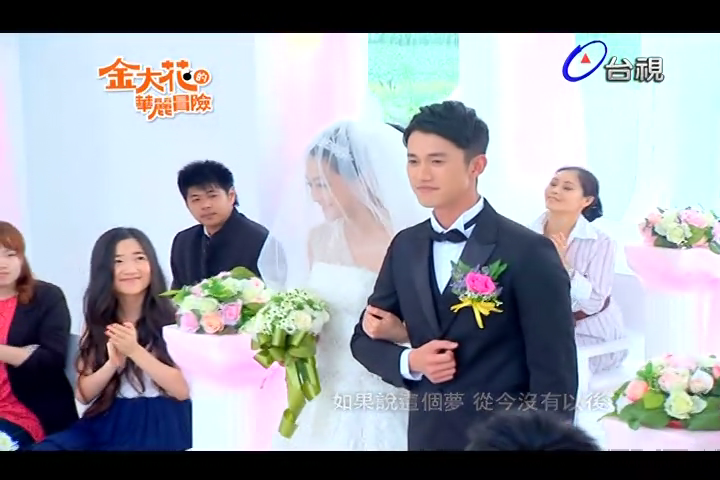 Today's episode was a waste on my time, everything was going good for Terry and Da Hua, they said I do! and then the stupid girl who is in love with Guan Jun screwed up. She said that Guan Jun was in love with Da Hua and he only wanted the better for her.. or something like that. In the end Da Hua became a runaway bride. I can't take it anymore am just gonna think that Da Hua and Terry are married. For me that's the end. Period.